Belmont University’s Department of Art celebrated senior achievement and graduation with its annual exhibition of senior studio art and art education majors. 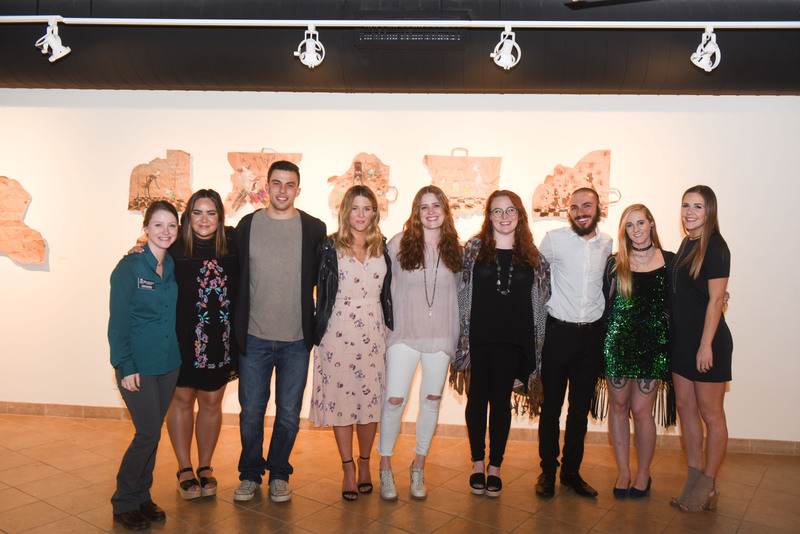 The exhibit culminated with a reception and art crawl that included the presentation of senior design portfolios in the Leu Center for the Visual Arts Gallery and Lobby on Thursday, May 4. Participating seniors included Sevoey Anderson, Regan Anne, Danielle Armbruster, Jessi Baumgartner, Sadie Birchfield, Dustin Conway, Kiana Enriquez, Celeste Foust, Absurd Ty Higgins, Madison Kent, Adrienne Li, Grace E Lewis, Lindsey McCartin, Ashley McCormick, Mary Louise Meadors, Ryan Minnigan, Grace Netter, Lauren Newman, Sara Schandelmayer, Gramm Sedano, Jacob Spalding and Chandler Thompson. This year’s gallery includes a variety of art forms, mediums and styles as students have the opportunity to select the pieces they will showcase. Lauren Newman, a senior studying studio art with an emphasis in photography, is passionate about lifestyle and fashion photography, though her extensive portfolio has expanded to include many industries. Her exhibit, titled “Nirvana,” highlights diners around Nashville and questions how we view the concept of Nirvana, a transcendent state where suffering, desire and a sense of self is removed. Taking its inspiration from Charles Bukowski’s poem, “Nirvana,” Newman visited Nashville’s most familiar diners and photographed individual booths.